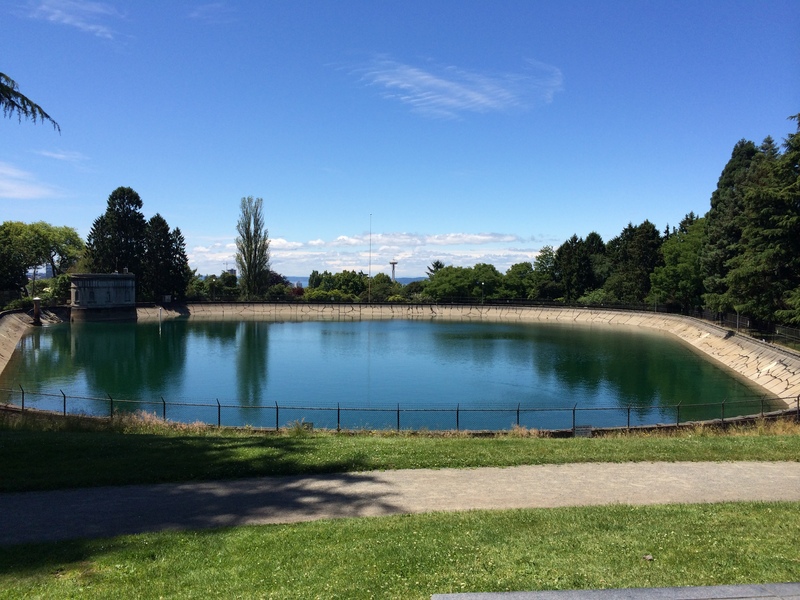 Volunteer Park, Seattle–one of my favorite places that I can walk to. I’ve been free of car ownership since 2005 and I love it! I first did it to save money and I thought it would be less convenient, but it turns out the opposite is true. Instead, my life is happier, less stressful, and more fun! I still drive cars from time to time, but I don’t own one. Here are the ways my life is better. The most obvious one is that it saves money. Lots of money! No car loan, no insurance, no gas, no parking, no repairs, etc. The money I spend instead on public transportation, occasional taxis, car rentals, or Zipcar is much less. Many people don’t know that with Zipcar and Car2Go, you don’t pay for the gas——they do. I love that. Of course all those car-related tasks are often stressful! Sitting in traffic jams, getting a parking ticket, finding a parking spot, insurance, and all that — no more! Since I don’t have to commute to a job (because I work online), I rarely use a car. For those few times that I do, I can plan my trips for low-traffic times and routes. No more traffic jams for me. 3. Access to the perfect car for each occasion. Of course, sometimes it’s useful to have a car for certain activities. I used Zipcar from time-to-time in Boston when it was brand new, and that was very convenient. There were many cars available in or near my neighborhood, they were always clean and empty, and best of all: I could choose the perfect type of car for the occasion. Need to move something large? Get an SUV, van, or truck. Want a fun drive to the beach with a friend? Get a Mini-Cooper, VW Bug, or other cute small car. Want to try a hybrid? Choose one of those. When I realized that never again would I need to choose one car to own for all purposes, I felt rich. I have a fleet of cars at my disposal! And it’s so convenient to rent them, just book it online or in the mobile app, go to the car, swipe your card, and away you go. Just be sure to bring it back on time or there is a hefty late fee and you inconvenience the person after you (I always add a cushion of time for that). The only downside is that they don’t have one-way rentals. You have to bring it back to where you started. (That is changing soon, though. See http://www.zipcar.com/oneway). Zipcar makes it possible to choose the type of car you want for each trip. When I was in San Diego earlier this year, I noticed these little Smartcars everywhere. It was the Car2Go service. I happened to walk by their office one day, so I stopped in to learn more. The best thing is that they have one-way rentals! You can grab a car and when you are done, park it in any legal parking spot on the street (longer than 1-hour parking), within the city limits. Great! This makes it perfect for short local trips where you might use more than one form of transportation. It’s available in many cities in the U.S., Canada, and Europe, and you only pay a one-time lifetime membership fee of $35 (plus hourly rates to drive). I signed up on the spot. (Zipcar has a recurring yearly membership fee, plus hourly charges). Car2Go offers one-way trips — useful! I didn’t get around to trying it until I was in Portland in March and April. It was very useful one rainy day when I was late getting out the door to go a conference I was attending downtown. I was on my way to the bus, then realized I could just pull out my iPhone and look at the app to find a car. There was one nearby, I reserved it with the app, walked over, swiped my card and drove it downtown. I parked right in front of the conference venue in a legal parking spot (you don’t have to pay for parking — they’ve already arranged that). I got there with time to spare on a rainy day. So convenient! I used it a few times after that in Portland, mainly when I wanted to stay dry and get somewhere fast. Otherwise the bus system was fine and I also had a rental bike (Portland is a great place for biking). 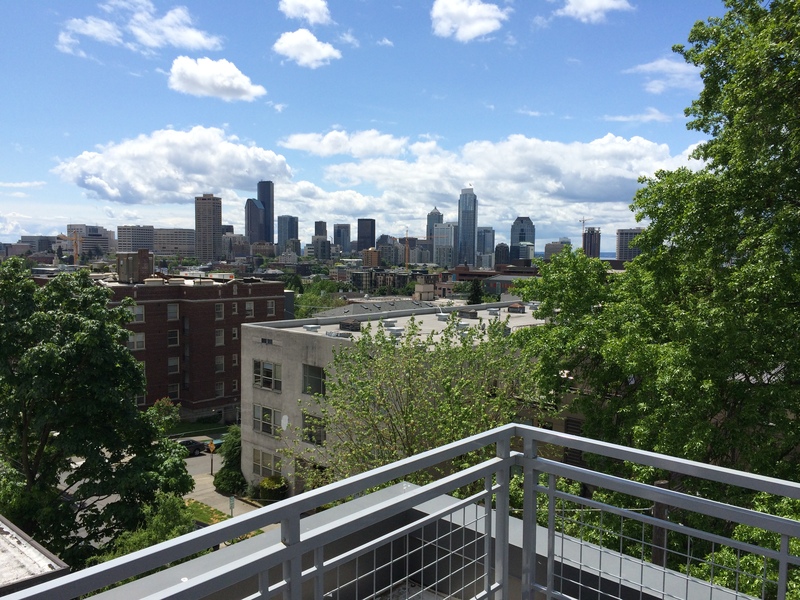 When I first came to Seattle in May, I was staying in an Airbnb apartment in the University district. It was a bit rainy for the first couple of weeks, and I was in a very hilly neighborhood (with giant, steep hills). My ankle was still stiff from an injury a few months earlier (I broke it). So it was a great way to get home (up and down the steep hills), with a bag of groceries in the rain. There were tons of those little Car2Go cars everywhere, it was always easy to find one on the spur of the moment. Of course, one of the best benefits is that not having a car leads to more walking and biking. I always look for walkable neighborhoods in each city I move to. When you don’t have to commute to a job (because of working online), everything changes. You look for neighborhoods where you can easily walk to everything you want to do on most days. 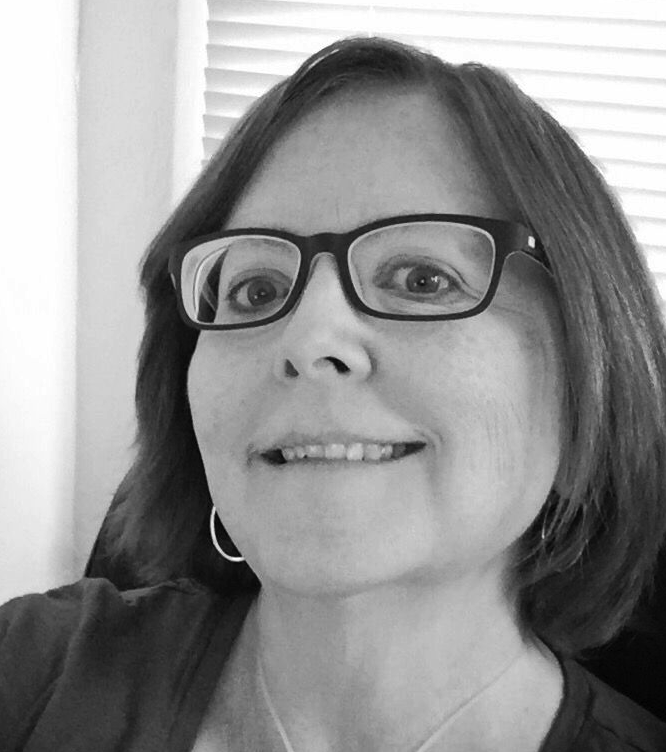 For me that’s coffee shops (I like to work out of the house), groceries/food co-ops/farmers markets, movie theaters, independent bookstores, and parks. In San Diego I was in the East Village, in Los Angeles I was in Echo Park, in Portland I was in Kerns, and in Seattle I’m now in Capitol Hill. All of these are very walkable neighborhoods (even in LA)! Of all of these, Capitol Hill is my favorite. One of the many places I can walk to. Has free Wi-Fi and large tables. A good place to work with my laptop. 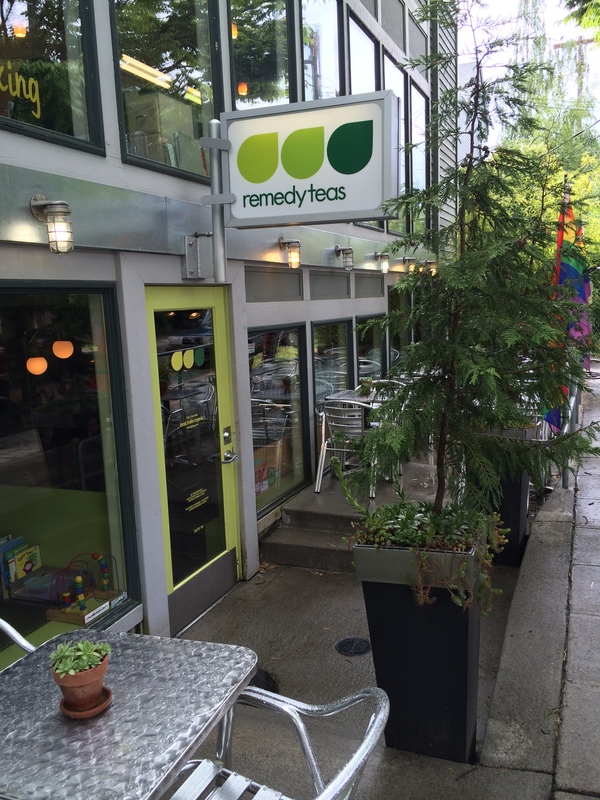 Remedy Teas – nice tea shop with free Wi-Fi. 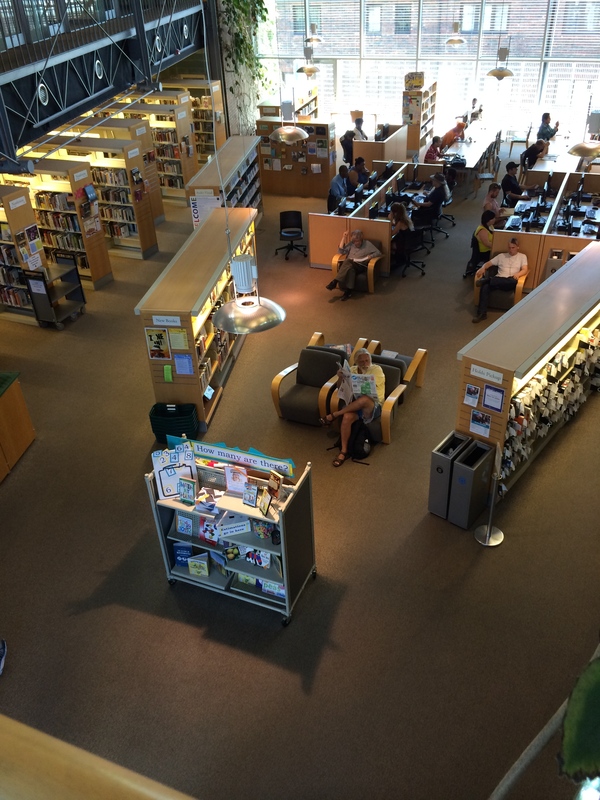 Capitol Hill Branch of Seattle Public Library. Another good place to work online. I can walk there in 10 minutes. – At least six different coffee shops with free Wi-Fi (where I spend most of my time working). 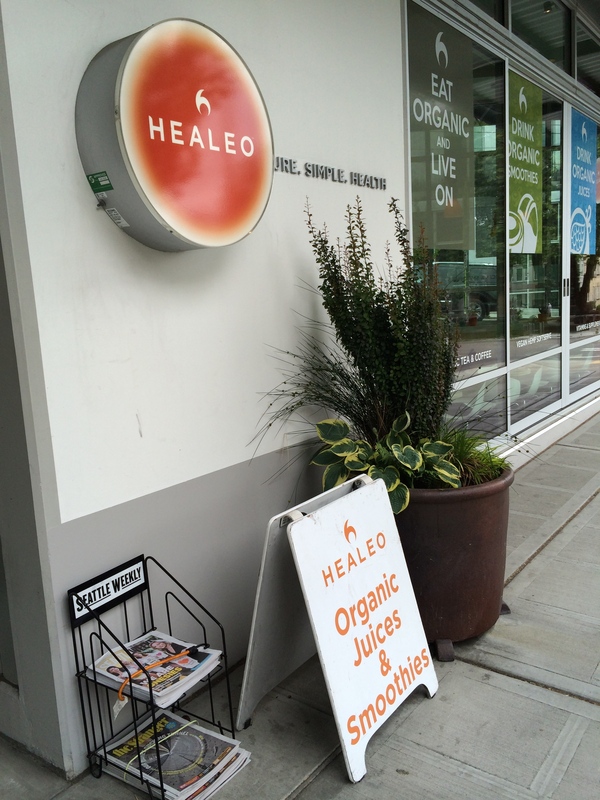 – A large grocery store one block away, and a really nice food co-op six blocks away. – A branch of the public library – about a 10-minute walk. 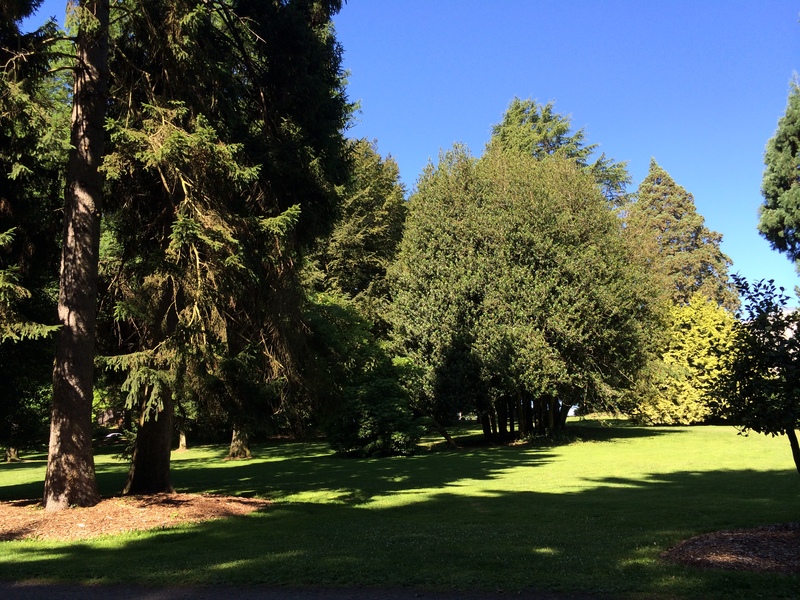 – Volunteer Park (so beautiful) – about a 10-minute walk. – A movie theater that shows indie films – about a 10-minute walk, and several other movie theaters are just a short bus ride away. 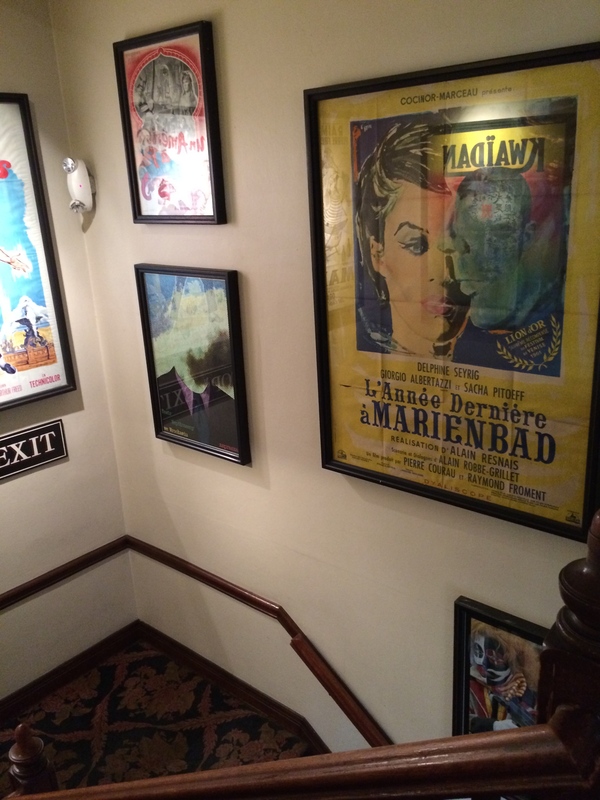 Movie posters in the Harvard Exit Theater. A 10-minute walk from my place. 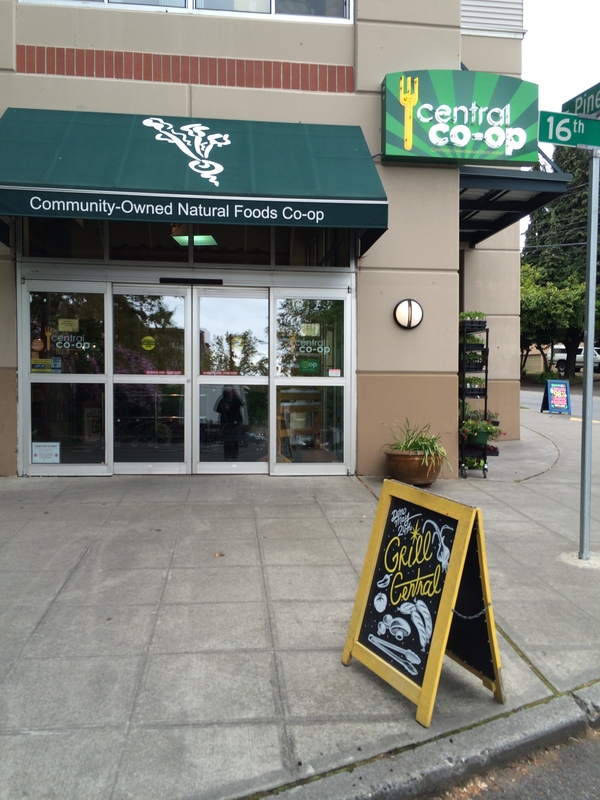 Central Co-op – one of my favorite co-ops of those I’ve seen anywhere. 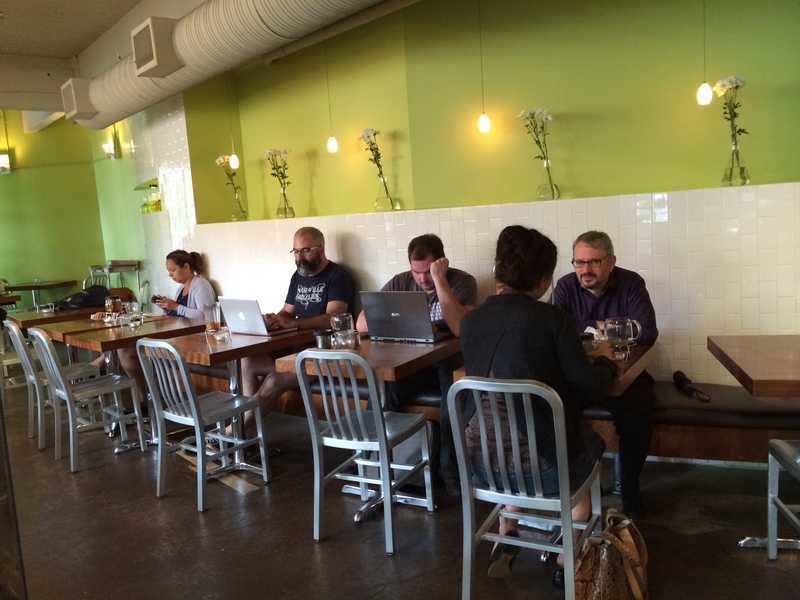 Remedy Teas – good place to work. Speaking of busses, they seem to run very frequently here, go everywhere I want to go, and I’ve always been able to get a seat (unlike in Boston, where the busses were usually crowded and not frequent). However, I’ve heard they are cutting back on service in the fall, sad to say. Budget cuts or something. 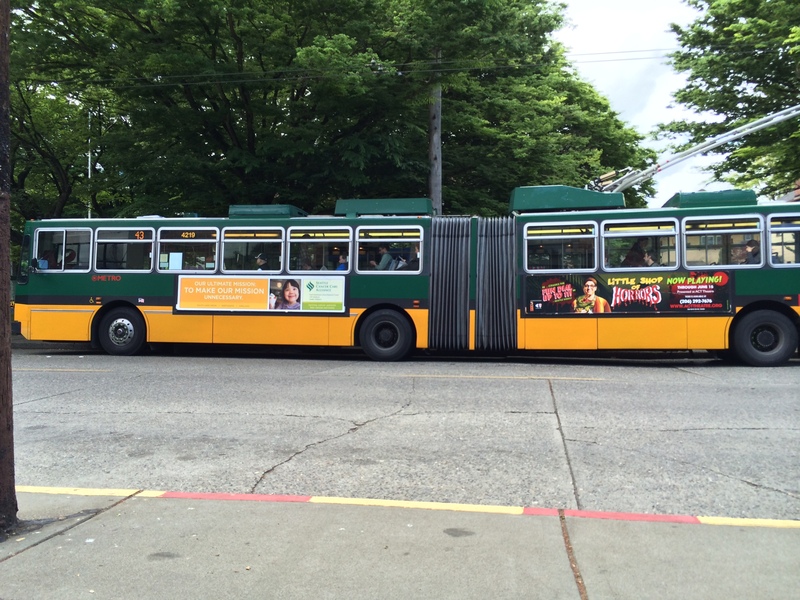 Riding the bus is easy – they run frequently in my neighborhood and aren’t crowded. So I walk to many different places every day. Once in a while I take a bus to another neighborhood for a movie. It’s great! When I was in Portland, I used Spinlister (a service where locals can rent their bikes to others) to find a rental bike. I was lucky to rent a bike for the whole time I was there (six weeks) for the price of what bike shops would charge for just one week! ($140) The owner even delivered the bike to me in his truck! It was great, since Portland is so flat, and it made it easy and fun to bike between neighborhoods. Portland is very bike-friendly. Drivers of cars are used to having so many bikes on the road, and also there are SO MANY bike racks everywhere. It was very pleasant to ride there. 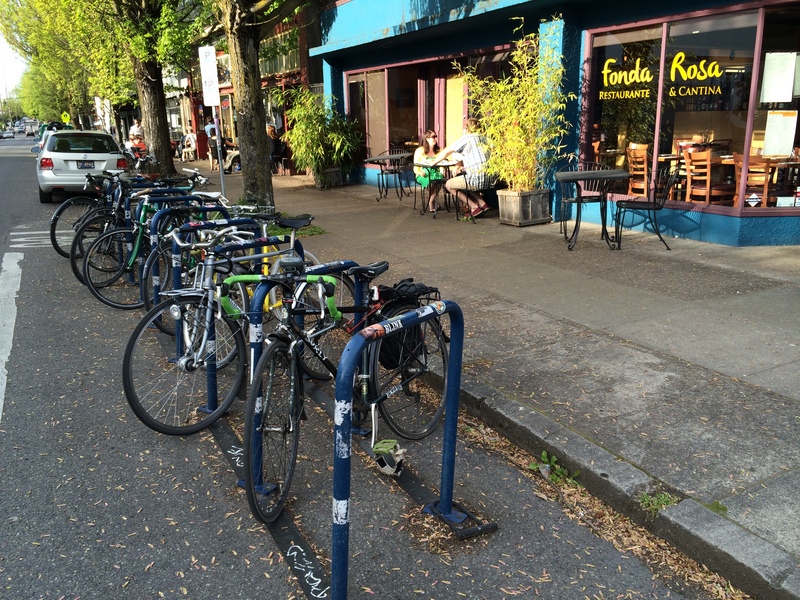 Bike racks are everywhere in Portland. I wish Seattle had as many (Boston, too). I will probably use Spinlister here in Seattle to rent a bike for an occasional afternoon bike ride, but not for regular transportation. That’s because it’s extremely hilly here (I’m a wimp! ), and I like walking everywhere anyway. Oh, and I just read that bike sharing is finally coming to Seattle, starting in just a few days! I’m looking forward to trying it out. 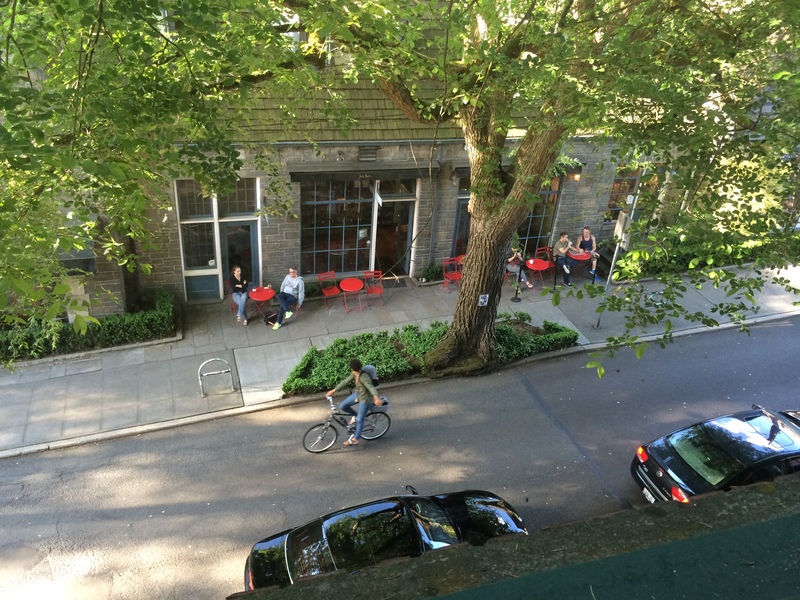 I used Spinlister to rent a bike in Portland. I remember that back in the days when I had a car, I would often use it for short trips that could have been walkable, just because it was there. Now I’m walking so much more. It’s really nice. When I say sharing, that could mean with a friend, in a taxi, or in a ride-sharing service like Uber, Sidecar, or Lyft. Let’s start with taxis. Now that I have certain apps on my iPhone for getting a cab, it’s more convenient than it used to be. Different apps work in different cities. 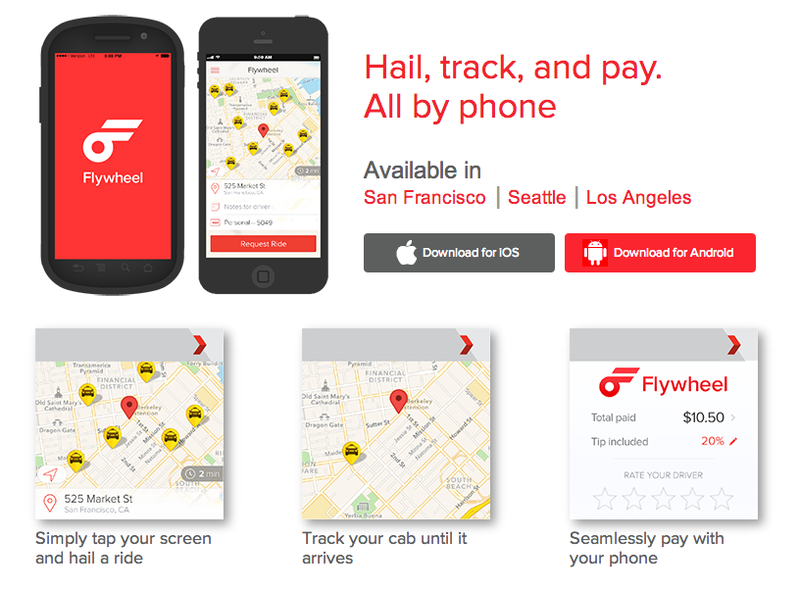 I’ve mostly used Flywheel on the west coast, and Hailo in Boston. The app shows your location on a map, lets you request a cab, and then you can see which driver accepted your request and watch a little taxi icon on the screen move toward you in real time. You can also text or call the driver directly while they are on the way. It came in handy on a snowy day in Boston when I was on crutches due to my broken ankle, and needed a ride home from the hospital after getting a checkup. The cabs were all busy (everyone was hailing them on the street because of the bad weather), and the usual way of calling on the phone resulted in them telling me it would be an hour before they could come! But when I tried the app, a nearby cab accepted my request and came in five minutes. The driver told me that they don’t like to take phone call jobs because often people won’t be there when they arrive, having found another cab. They prefer to pick up someone on the street. But with the app, they found it reliable again, so they like using it. Another nice thing is that you put your credit card in ahead of time and it’s stored in the app. It gets auto-charged at the end of your ride and you can tell it what percentage of tip to add. No more not having enough cash for a cab! Taxi apps are very useful! Since these apps are fairly new, they often have promotional coupons and referral codes, resulting in generous discounts. That’s always nice! Here’s my referral code for Flywheel, in case you want to try it: YBAMWU. If you sign up with my code, you’ll get $20 in credits, and I’ll get $20 if you take your first ride before August 31. After that I’ll get $10. (Flywheel is in San Francisco, Los Angeles, and Seattle). I also enjoy using ride-sharing services like Sidecar, Uber, or Lyft. They each have their own app, and it works in a similar way to the taxi apps. Request a pickup, and you can see the car approaching on a map. The prices are usually cheaper than taxis, and you sit in the front seat and it’s customary to chat with the driver (if you like). It gets charged to your credit card automatically at the end. You can choose which driver you want (by their ratings or price), and give them a rating at the end of the trip. Often they will have nice perks like a free bottle of water, snacks, or letting you choose what music to listen to. I’ve used Sidecar and Lyft in LA, San Diego, and Seattle. Each time I had a pleasant conversation with the driver. I usually ask them how they like driving for that company and they tell me all about it. What I’ve heard is that they like the ability to earn extra money, have control of their schedule, set their own prices, and meet new people. More than one person told me they work for both Sidecar and Lyft. When I was invited to a 4th of July party in the suburbs, there were busses that went there, but it would have taken over an hour (using two different busses). So I thought about getting a Zipcar (there are some just down the street from where I’m living), but the hourly rates are more expensive these days, and it would have cost me about $75 to rent it from 3:30pm – 10:00 pm. So I booked a Sidecar. It was great — only $30 and we got there in about 20 minutes! For getting back home, I got a ride from friends at the party. The other great thing about that, is that I didn’t have to navigate to an unfamiliar neighborhood in a city I’m new in. I could just sit back and let the driver use his GPS, while we chatted. It made me realize that getting a ride is better than driving myself for most purposes. And it ends up being cheaper! So now, if I’m in a situation where the bus or walking doesn’t make sense, I get out my iPhone and use one of those apps to request a ride. It’s great. So many options! Speck, Jeff (2012-11-13). Walkable City: How Downtown Can Save America, One Step at a Time (Kindle Locations 120-121). Farrar, Straus and Giroux. Kindle Edition. All of those conditions are true of my current neighborhood, and it’s what makes living here so pleasant! 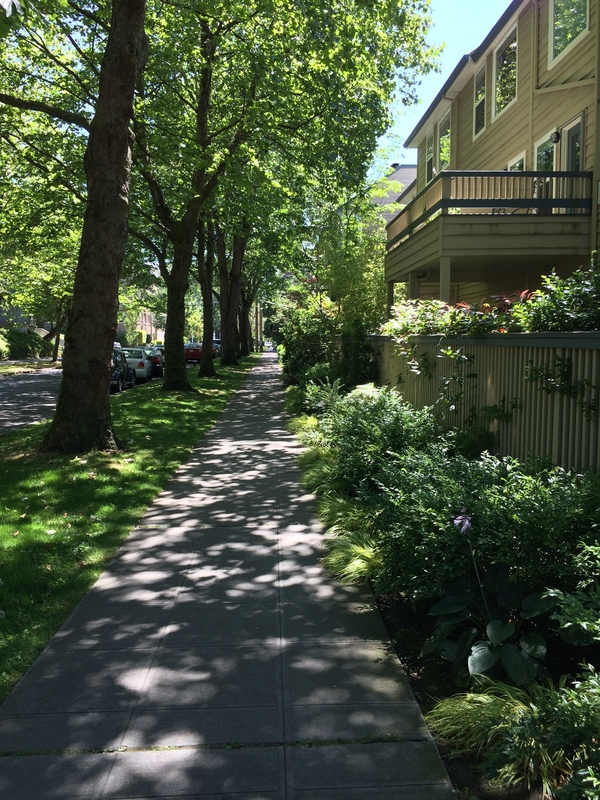 I hope to always live in walkable neighborhoods, no matter where I go in the future. Walkscore is one of my favorite sites to use when I’m researching neighborhoods to figure out where to go next in my nomadic journeys. 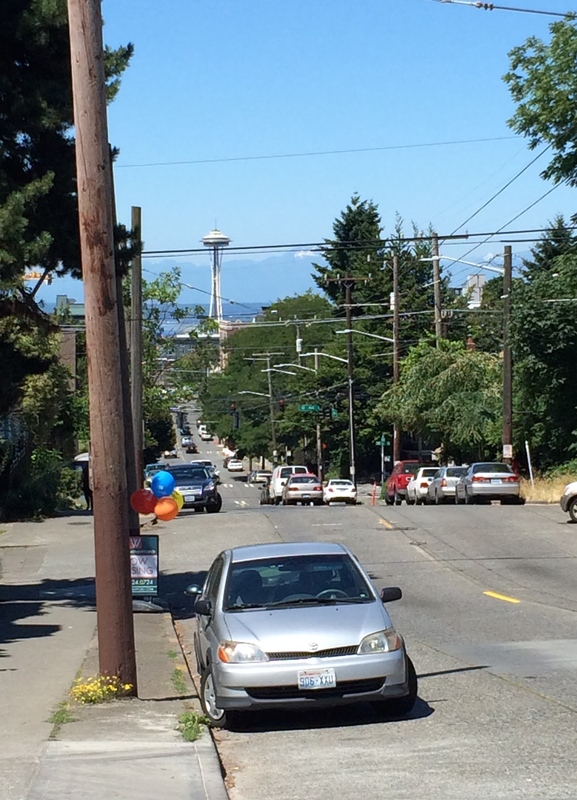 Capitol Hill gets a high walk score. So if you’ve ever considered living without owning a car, and you live in a walkable neighborhood, I highly recommend it! 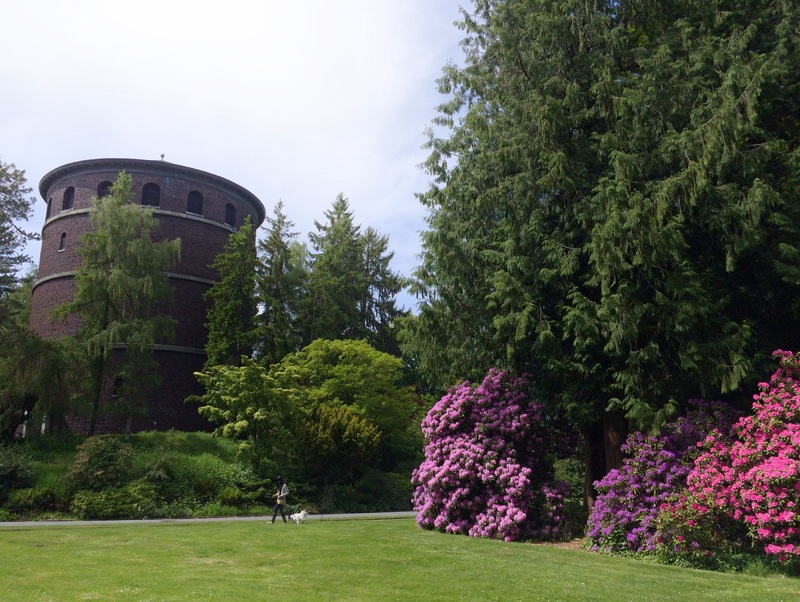 Water tower in Volunteer Park. 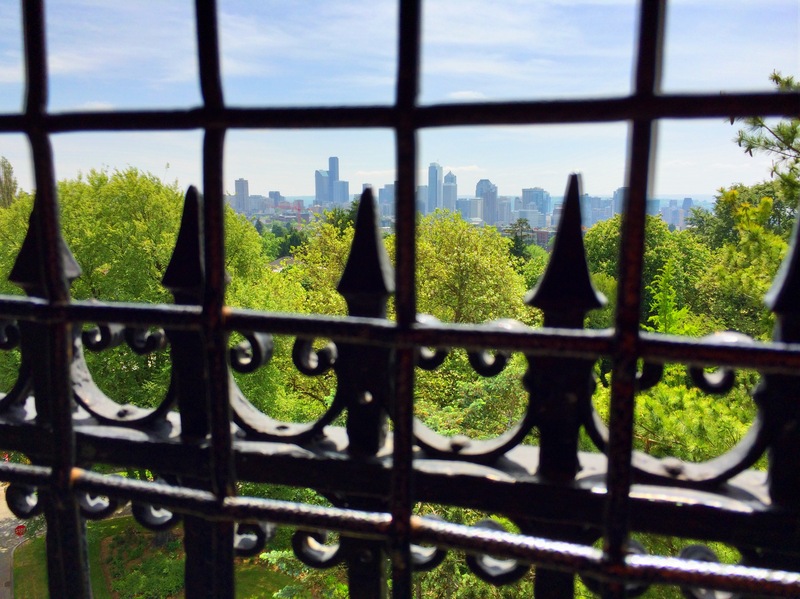 View of Seattle from top of water tower in Volunteer Park. 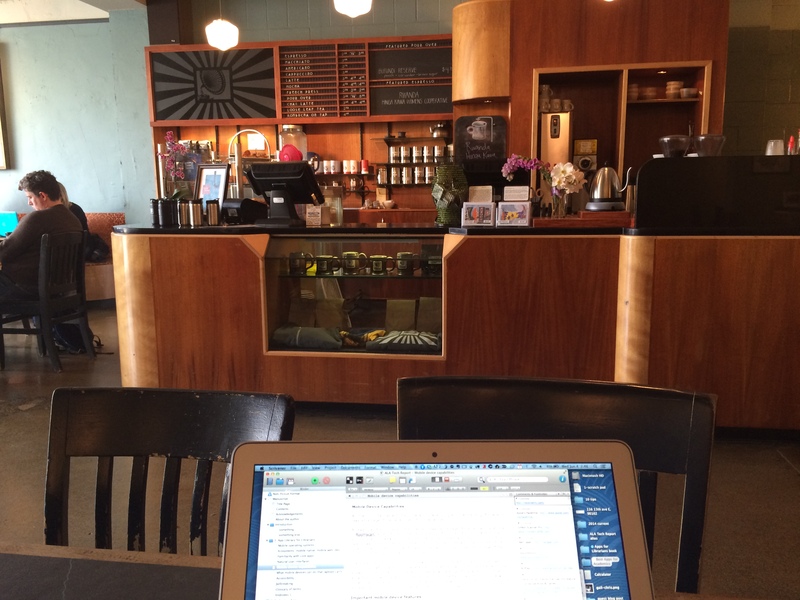 Working in a coffee shop – Victrola. 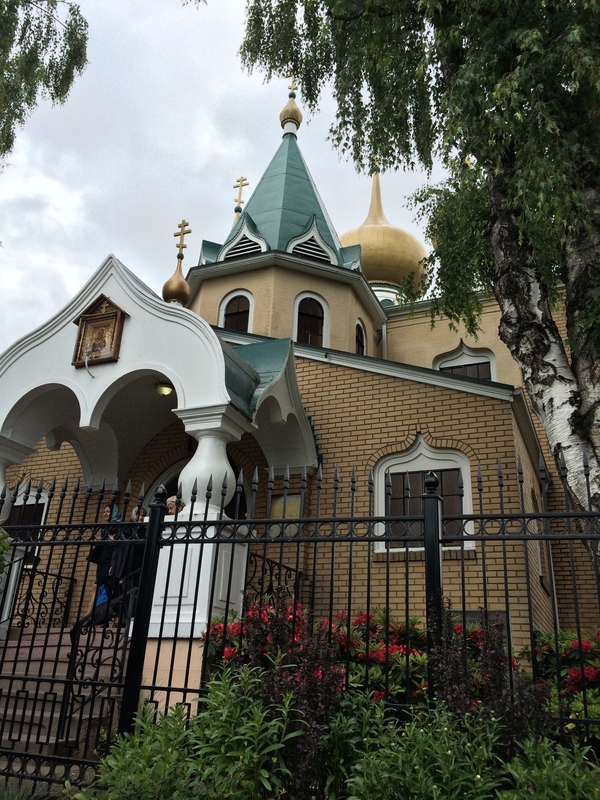 A pretty Russian church in my neighborhood. Sidewalk cafe across from movie theater. Space Needle view from my corner. 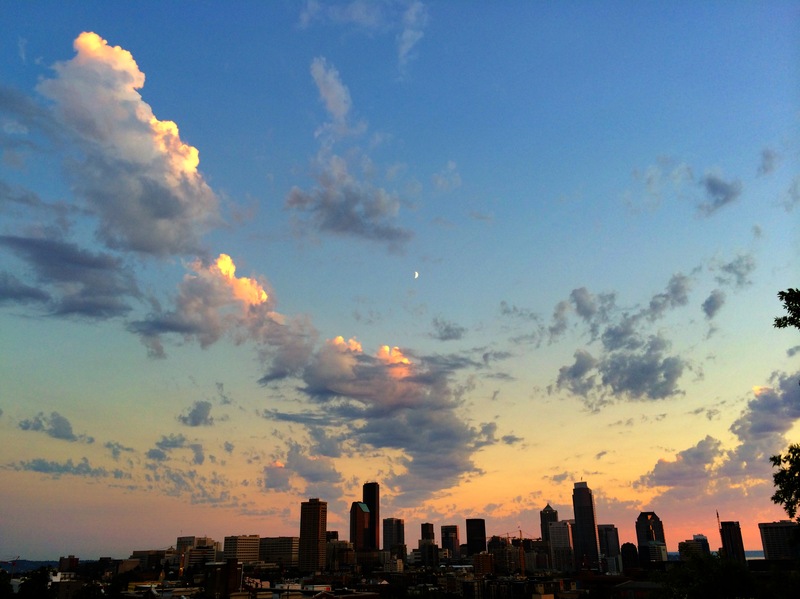 Sunset from my roof deck. I’m reading Jeff Speck right now and we’re detailing our car to sell! This post came at a perfect time. This post is a sign, that we’re moving in the right direction. Thanks so much! So glad you liked it! Good luck – I think you’ll be happy with your choice.